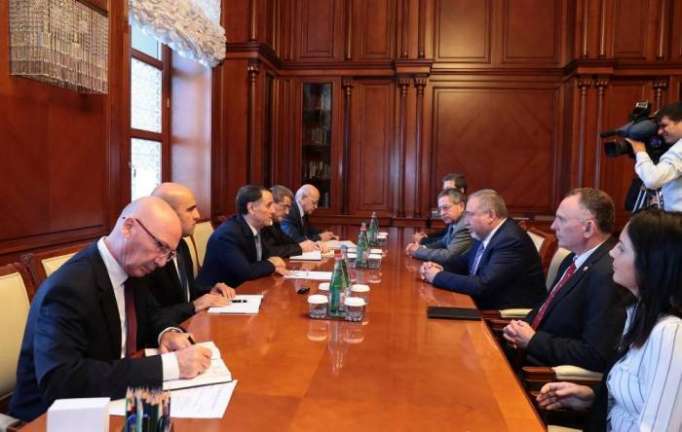 Azerbaijani PM Novruz Mammadov hailed high-level bilateral relations between Azerbaijan and Israel as he met a delegation led by Israeli Defense Minister Avigdor Lieberman on September 14, AzVision.az reports. Novruz Mammadov highlighted the cooperation between Azerbaijan and Israel in many fields and the importance of the bilateral visits in terms of developing bilateral relations between the two countries. He also mentioned the significance of the development of bilateral relations for regional and international security. Israeli Defense Minister Avigdor Lieberman emphasized Haydar Aliyev’s role in the strengthening good relations between Azerbaijan and Israel: “Currently, bilateral relations develop as a result of the efforts by the heads of Azerbaijan and Israel”. The sides exchanged views on the cooperation in the field of military, agriculture, tourism, and other fields.